Some, really, really amazing photos. Keep it coming. Feeling nostalgic about Africa. Giving it a miss this year , after going there for 10 years on the trot. Wow, add me to the many who LOVED the video! Your daughter may be an amateur, but she is a talented one! The trip looks amazing! I finally got to watch the video sundowner and she did such a good job! I wouldn't even know where to start putting that together! Some very nice captures, all creatures great and small. I haven't seen anything on safari that scares me, but I think a hippo that close out of water might. You got a couple nice and close encounters with them during daylight, which isn't common! Also the lion vs. leopard shot was interesting to me because I've never seen them together and realize now the size differential. 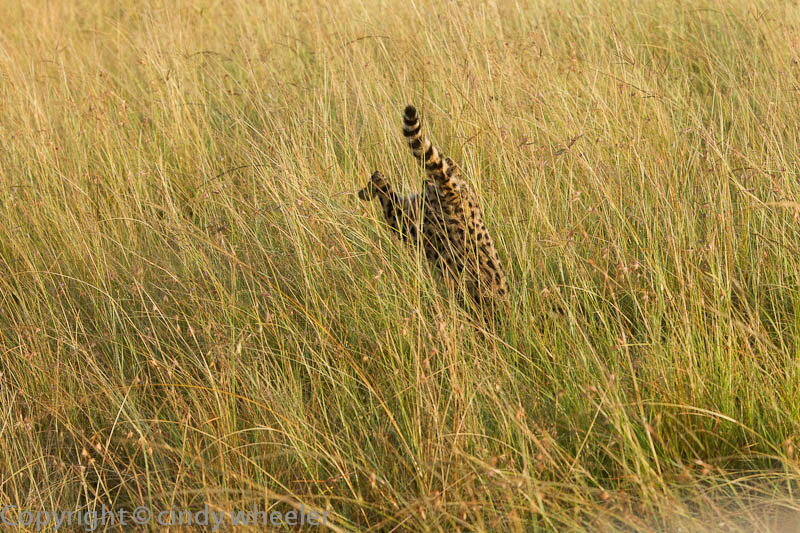 I think that was a female leopard (? ), so a like for like comparison? I've only ever seen one male leopard close enough to tell and he was massive but I don't think bigger than a lioness. I love savannah sunsets and sunrises, your daughter caught them well! Wonderful video, thank you for sharing! Thanks for the comments! I have passed them on to my daughter and she said Thanks! So many cats! Wow! The video is great! Love the music - where is it from? I felt lucky to get a decent photo of a secretary bird even doing nothing. They seem to always walk away as soon as the vehicle stops. 4.5 ft tall, 6 ft wingspan. And feathers that look like pens stuck in their hair. 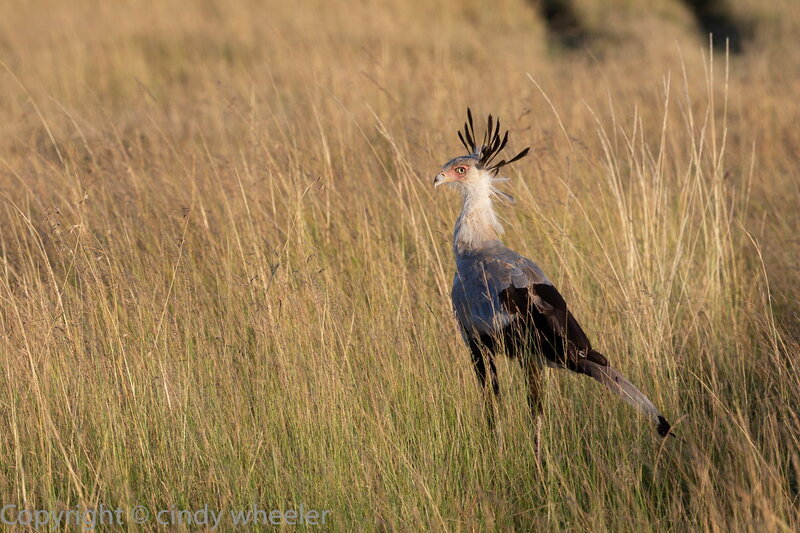 Secretary bird! 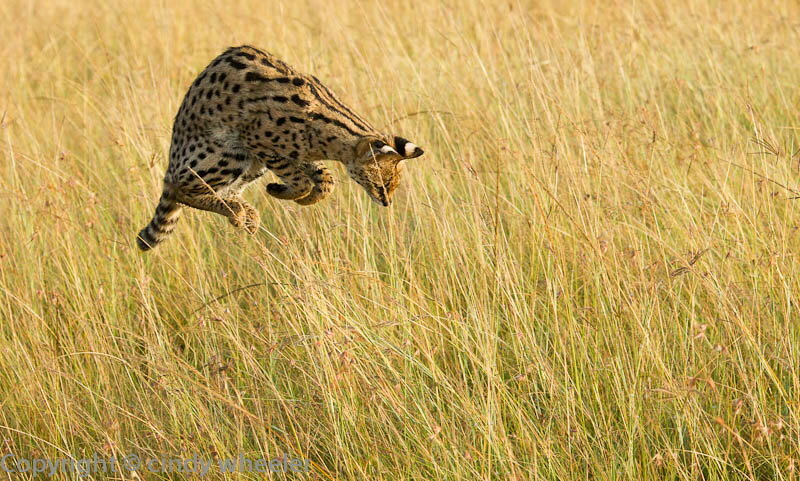 Incredible serval sighting! 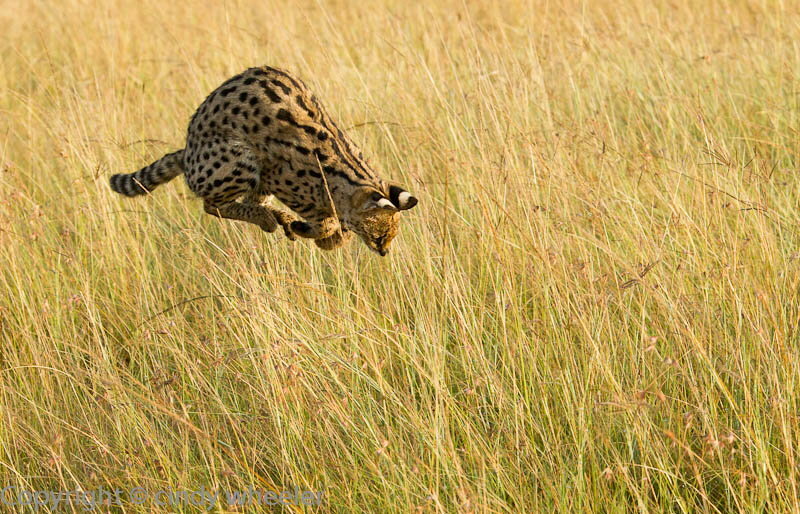 And great that you caught it on camera, they can be very elusive! Your photos are amazing and the video is fantastic. I am going again next June and you brought back all the excitement for me. The hippo is one of my favourite shots of yours. Thanks for the comments! I wish I could just hop on a plane and go again already. 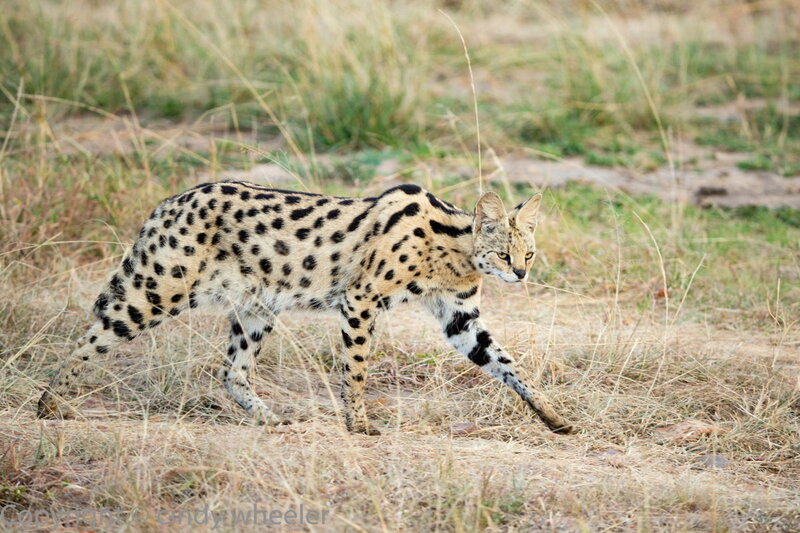 Here's a serval from a previous trip to the OMC. 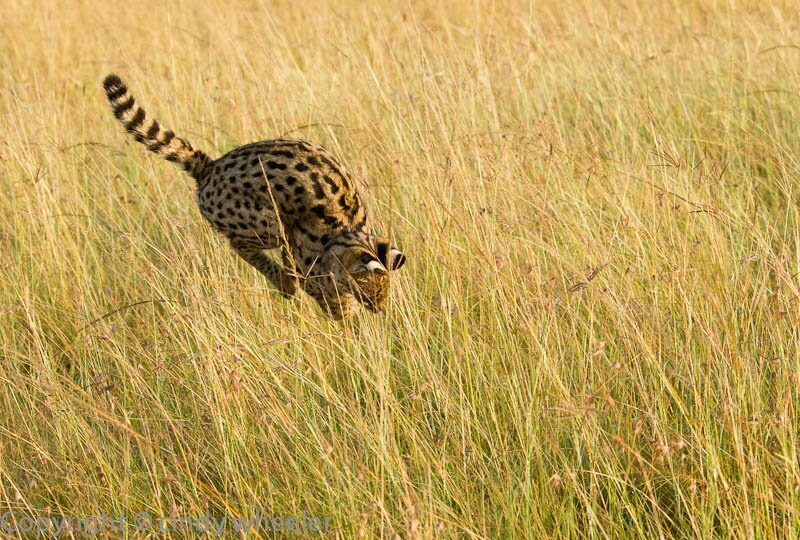 We were lucky to see this one hunting! Kenya is a very beautiful place, and I must say what a wonderful pictures. Carte Orange - Photo - Copy of Passport Photo ok?